Independent state in the Caribbean, see map of Grenada, comprising the island of Grenada and, to the north-east, some of the southern Grenadines. Grenada, in the south-eastern Caribbean Sea, is the southernmost of the Windward Islands. The most important of the attached Grenadines are Carriacou and Petit Martinique. 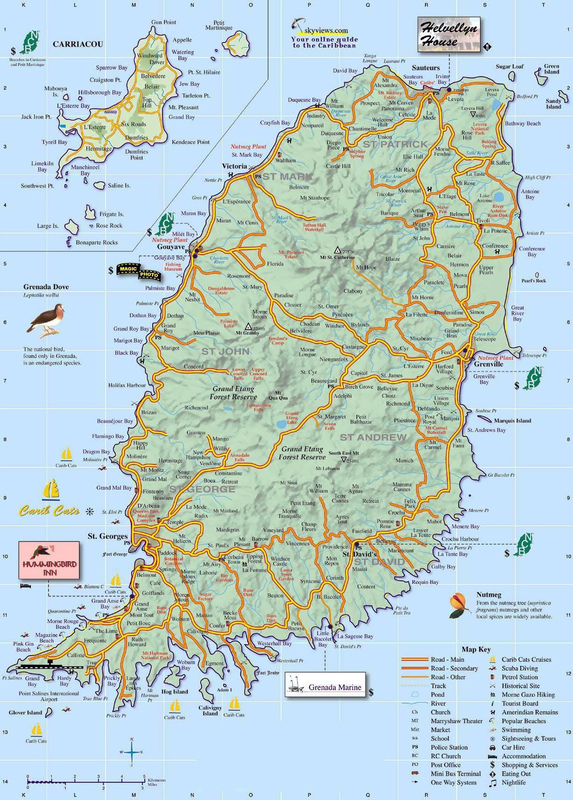 The country has a total area of 344 sq km (133 sq mi); Grenada Island has an area of 311 sq km (120 sq mi). The capital of Grenada, largest town, and principal port (located on the south-western coast of Grenada Island) is St George’s, with a population (1993 estimate) of 8,400.